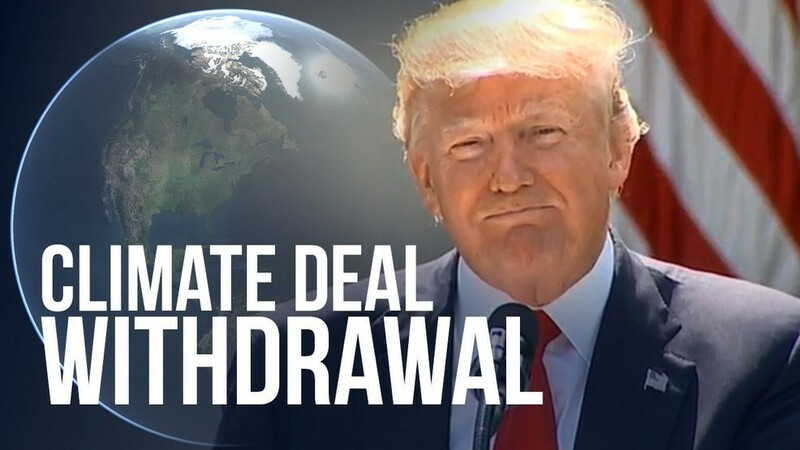 President Trump has officially pulled us out of the Paris Wealth-Distribution Treaty. Hooray for the President! Well that’s terrific, or at least it would have been if he had ended there and simply said “thank you and have a nice day.” But he didn’t. His campaign promise was to pull out completely and leave it at that. Well, kudos to the President for mentioning “its taxpayers.” When have we heard a President mention the people who pay the bill when discussing international affairs? I certainly don’t recall a time. What would negotiations look like? Where would you even begin? This situation is really no different from negotiating a peace between Israel and the Fattah/Hamas-controlled Palestinians. Negotiations require finding some sort of common ground or interest to build upon. When one party wishes only to kill the other and drive them into the sea, you’re not likely to happen upon any 'common' interest. The same goes for the worldwide hoax of man-caused global warming. One side says they are absolute believers and the other (us) says it’s a 'Yuge' scam. It’s tough to get beyond that. Some say and have been saying for months that we have to trust Trump. He’s not a politician – he’s a business man. He’s knows what he is doing. He may very well, but it still leaves me feeling a bit uneasy – like it’s a temporary victory with the epilogue, “to be continued.” This almost seems like a season-ending cliff-hanger, leaving us wondering, until next season, whether we really did win. Why do we conservatives always seem to have to wait for next season to find out if our victory is real and complete, instead of having to take heart in the old 'Well, it’s better than nothing," or, "It’s a start anyway." I can only speak for myself, but I know I can’t be the only one who really does want to support President Trump. But I want to support the man who stood up on all those stages during the campaign and made declarative statements to America. Unapologetic, unambiguous declarations of repealing ObamaCare, cutting taxes, slashing regulations, building the wall, deporting illegals, and yes, ending the Paris Climate deal. He was elected because he was unambiguous and bold. His supporters understand that some of that list is dependant on spineless legislators Trump has to deal with, which is why he has not lost support. But this Paris deal is all him. This is what Presidents do, and he was not elected to end this Paris wealth distribution scheme, only to go back and possibly take another bite from the poison apple. End this thing as you did Mr. President – then drop the mic and walk away. There is no negotiating with this cabal of socialist redistributive warming nuts, whose sole design is for America to underwrite their idiocy.